The Druid priests are as cold and cruel as the forest spirits they claim to represent, and Guntra, the chief of her tribe of Britons, must make a desperate deal with them to protect those she loves. Unaware of Guntra’s struggles, Jugurtha, her son, longs to drive the hated Roman conquerors from the land. When he encounters the Christian Centurion, Marcinius, Jugurtha mocks the idea of a God of love and kindness, but there comes a day when he is in need of love and kindness for himself and his beloved little sister. Will he allow Marcinius to help him? And will the gospel of Jesus Christ ever penetrate the brutal religion of the proud Britons? 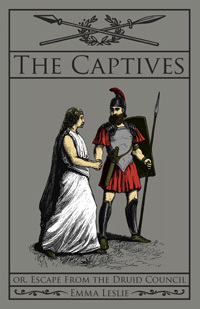 Story Setting: Roman England in 66 - 67 A.D.
"Captivating from the very first pages!" ~ Michelle B.